I picked up one of Makeup Revolution's Awesome Metals Eye Foils ages and ages ago, and basically forgot I'd ever bought it until I was having a little sort out a couple of days ago and re-discovered it lurking amongst my single eyeshadows... I guess that's when you know you have a make-up problem! I'd taken it out of its original packaging but I don't think I'd ever used it. Anyhow, the shade I have is 'Pure Platinum', which is exactly what it sounds like. I know that the Makeup Revolution Awesome Metals Eye Foils have been touted as something of a dupe for Stila's (much pricier) Magnificent Metals Foil Finish Eye Shadows, but as I don't own any of the Stila shadows I won't be making any direct comparisons. In the Awesome Metals Eye Foil kit, you get a bottle of Liquid Primer, a jar of pigment, and a little mixing tray; I'm not sure what the original instructions said but those on Makeup Revolutions site suggest that you add a couple of drops of the primer to the mixing tray, mix in some powder, and then apply. I'd argue that the pigment isn't a powder at all; to me, it's decidedly more of a cream/gel texture, which is quite tricky to pick up with a brush. I've actually found that the best way of applying, for me, is to dampen my brush with the primer and then use that the pick up the pigment before applying directly to my eyes. I think 'Pure Platinum' is a really great shade for day-to-day wear, it makes my eyes look really bright and awake which is nice! As I said, I don't own any of the Stila Magnificent Metals products (nor am I likely to at over £30 a pop!) but I definitely think Makeup Revolution's offering are worth a shot if you're after something similar on a budget. Once on, the effect is maybe slightly less foiled than I was anticipating - but still a pretty cool look. 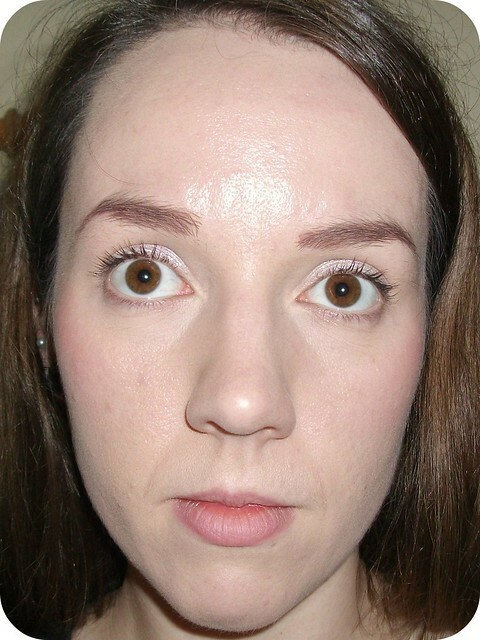 I've found the Awesome Metals Eye Foil to last extremely well - they're pretty much budge-proof and have still been firmly in place on my eyelids after a full 14 hours of wear, including a shift at work where I'm constantly on my feet, running here, there and everywhere and, let's be honest, sweating a little. I've been really impressed with the lasting power and they're definitely a great option for hot weather or days when you're going to be pretty active. 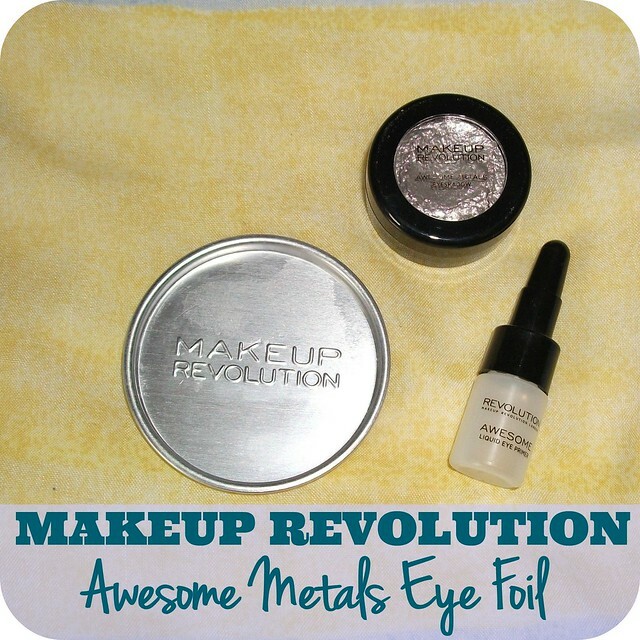 Makeup Revolution Awesome Metals Eye Foil in 'Pure Platinum' is available here, priced at £4. The Eye Foils are available in three other shades - 'Black Diamond', 'Emerald Goddess' and 'Rose Gold', if 'Pure Platinum' isn't your cup of tea! Have you tried any of Makeup Revolution's Awesome Metals Eye Foils? Would you be tempted to? What is your favourite type of eyeshadow product? I would never normally think to buy a product like this but this looks lovely!! I have been so curious about these foiled eyeshadows by Makeup Revolution! 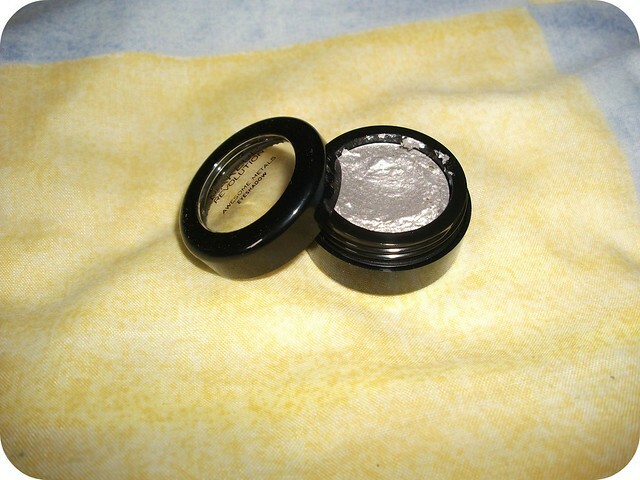 That silvery shade looks lovely and they are such a great dupe for the Stila variations! What a great name for a product, I was curious to see how it would look! I never tried this brand. How do you like it?